In love with the speed of life? 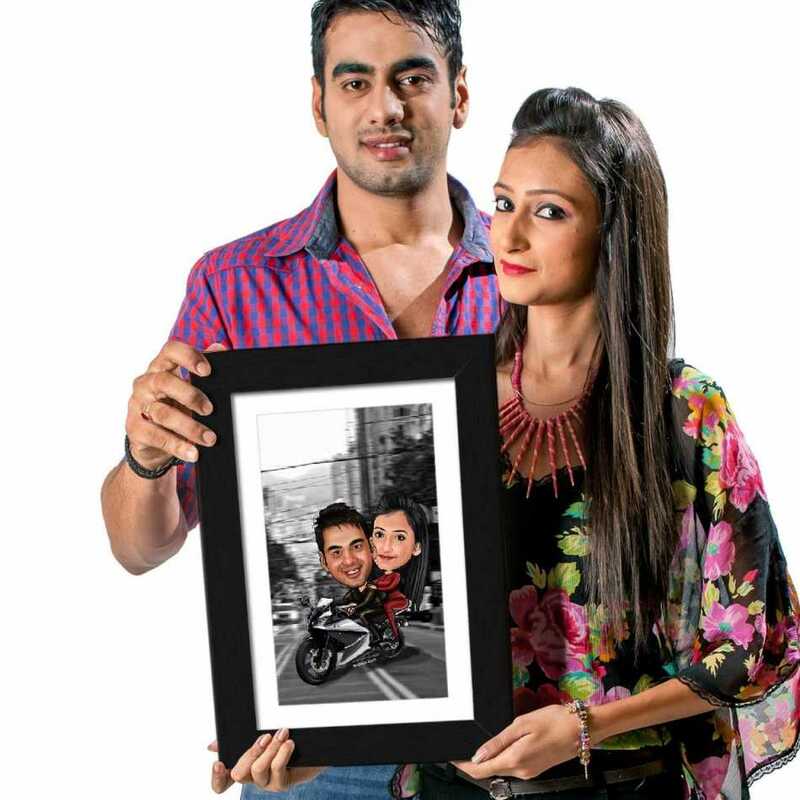 Then vroom through happiness with your partner and frame your special riding moment on this wonderful caricature photo frame which can be easily hanged on walls. This template depicts the love story of a couple who enjoy bike rides with each other. You can see there is a black & white background that creates a perfect blend with the colorful dresses of the couple. They are looking very happy and passionate together in this beautiful caricature. 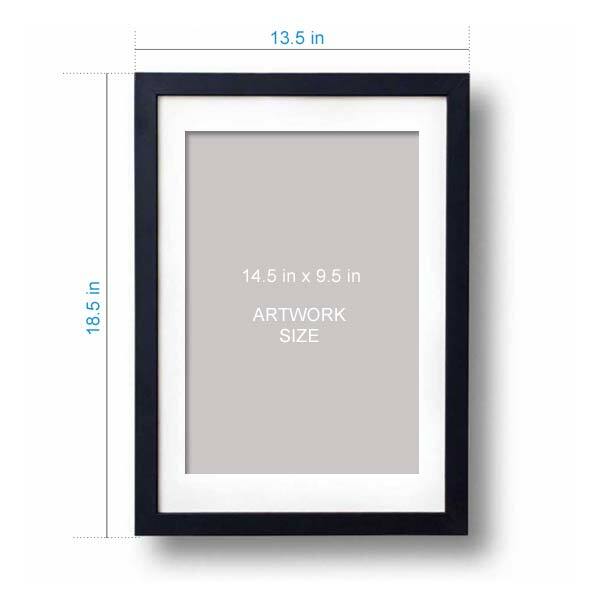 No matter, it a gift for the day you met each other, or a meaningful shower gift, this artistic photo frame matches all occasions. The funny facial expression and personalized look of this caricature may result in bringing tears to their eyes. This gift captures the personality of bike couples and shows their awesome chemistry. Also, you can gift this item to your friend on their special day and give them life-long memories. It is a unique gift that looks different from the boring traditional gifts everyone gives. So, what are you waiting? Make this occasion special for your loved ones with this caricature.